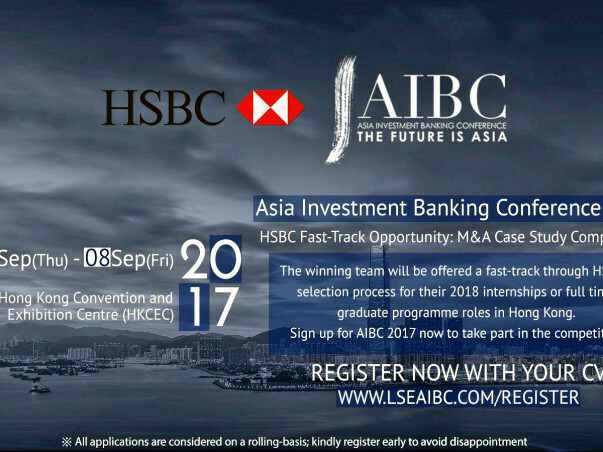 The AIBC2017 attracts young, brilliant minds that are driven to build a career in the field of Investment Banking. I am really thankful to you for visiting my fundraising page. My journey towards representing my country at the OYW Summit started off with a dream. The conference will give me a chance to connect with some of the brightest students, distinguished Industrial professional, speakers and representatives from several companies. 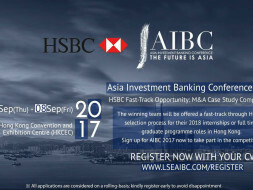 Plus, I’ll gain unique perspectives from experts in Investment Banking and leaders from the leading organizations and associations about the future of investment Banking. 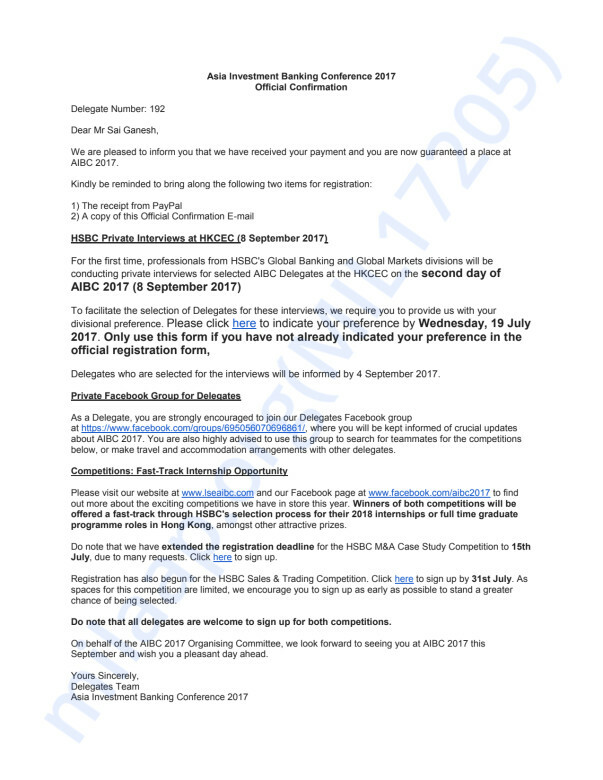 In addition to this, I will get a chance to participate in few competitions such as HSBC M&A case study competition and HSBC sales and Trade competition. This will be a great learning experience for me. Two full days of the conference are dedicated to the keynote addresses, panel discussions, competitions, and workshops on Mergers & Acquisition, Investment Research, etc. With speakers talking on important topics, I know I will be able to apply my learnings when I return from the conference. Here is the preliminary schedule. I’ll also have the chance to meet with a number of representatives from companies, who will be discussing the career opportunities and trends, meaning I can come back with few ideas to build my career. But I do not have enough financial support to attend the conference. I am a believer in the power of ideas. I like to start things, be it companies, initiatives, causes - and love the adrenaline rush that comes with it. I am really passionate about new ideas. I believe that an idea has the power to change your life and the best dreams happen when you are awake. My outside class experiences and interactions with people from around the globe have been tremendously instrumental in shaping my career aspirations and life goals. If you happen to know me personally, you would know that I have always been a go-getter, hard-worker, and a fighter. 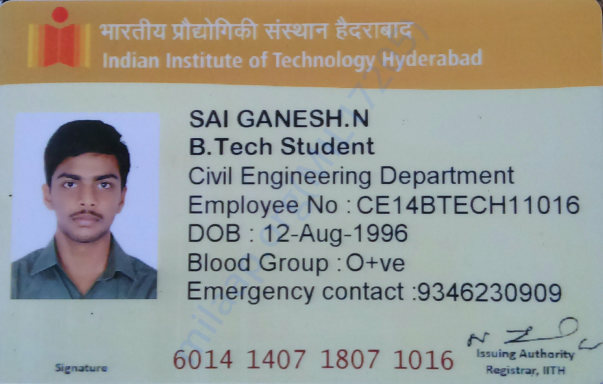 If you don’t know me well, you can have a look at my LinkedIn profile (https://www.linkedin.com/in/sai-ganesh/).